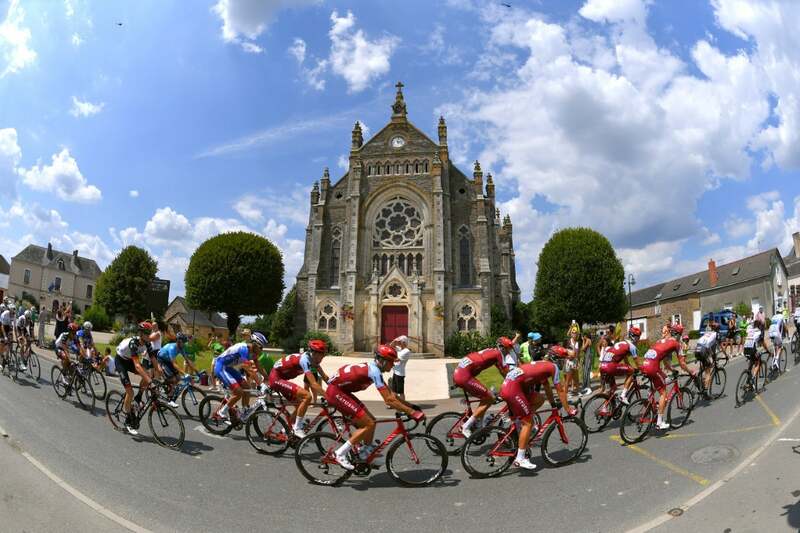 The finish town of Sarzeau has never been used as a Tour stage town. 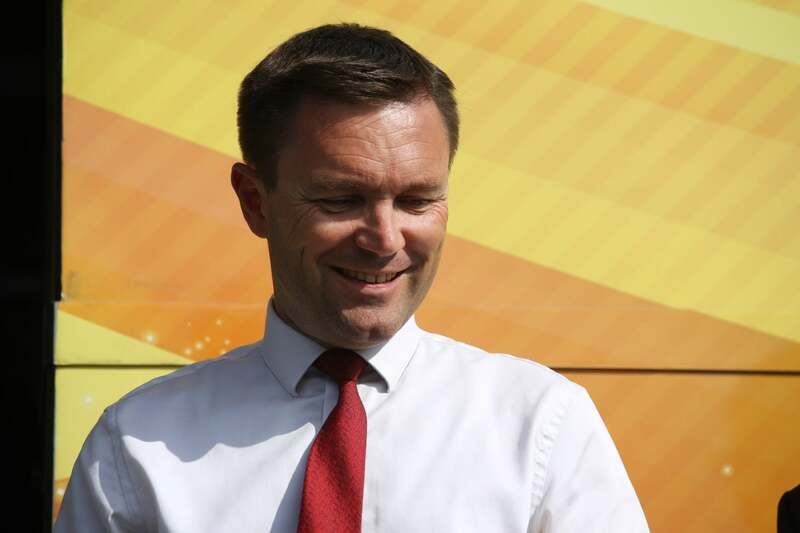 That changed when Sarzeau’s mayor, David Lappartient, was elected president of the UCI. The stage will reveal how much interest there is in the new system of bonuses put in place for the first nine days this year. 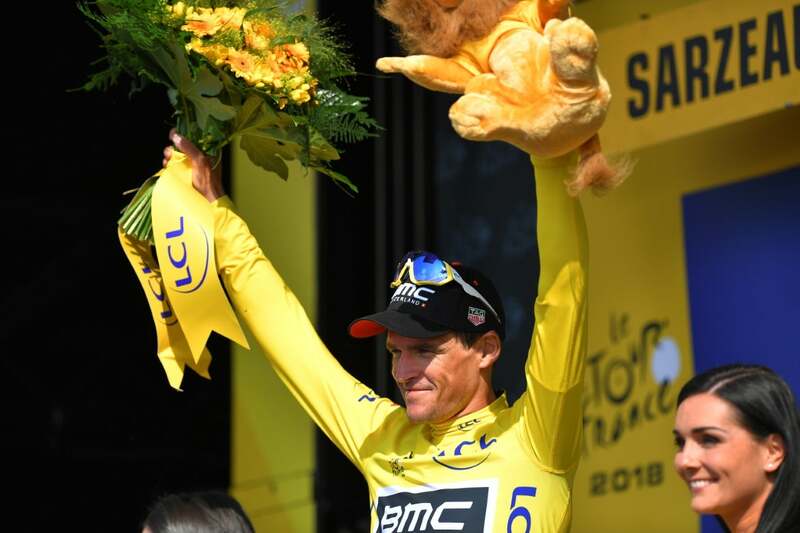 A three-, two- and one-second bonus will be awarded to the first three riders to reach a point on the route known as the “bonus point.” This is in addition to 10-, six- and four-second bonuses awarded at the finish. Ultimately, another bunch sprint is likely. And, if the weather cooperates, the television images of the Gulf of Morbihan will be superb. 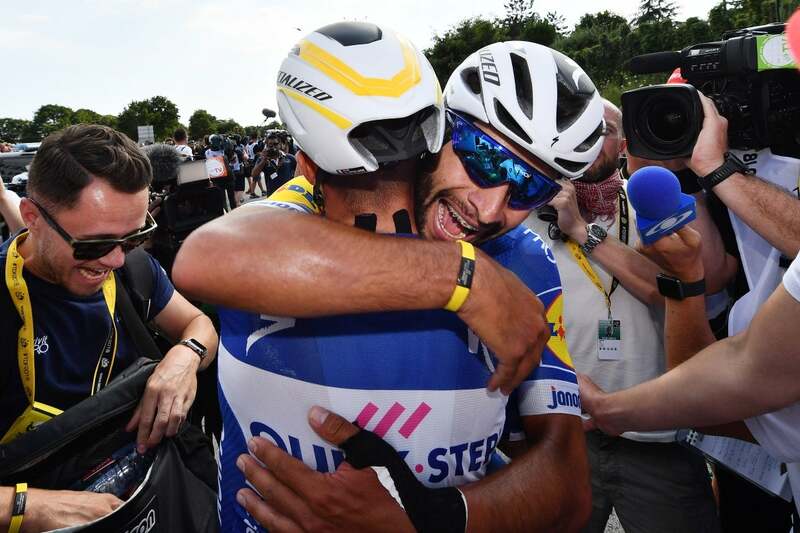 After stage 4 of the Tour de France, Fernando Gaviria is batting .500 in his debut at the Grande Boucle, winning Tuesday’s sprint into Sarzeau, his second of the race. 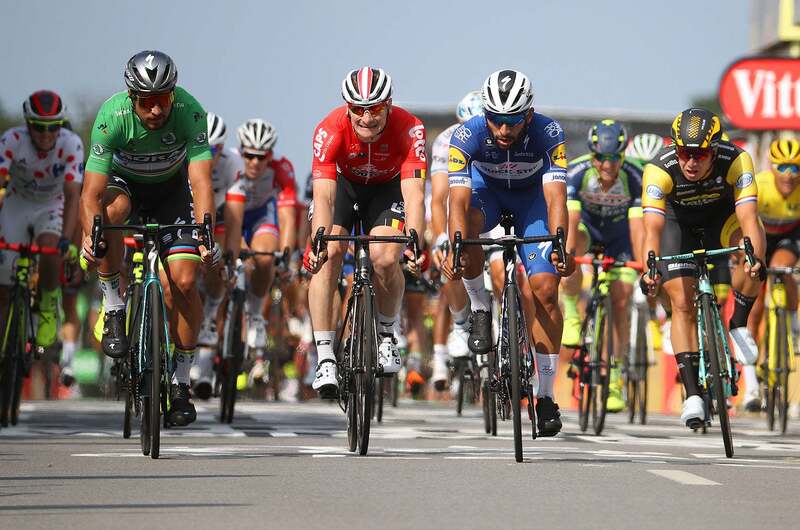 Peter Sagan (Bora-Hansgrohe) was second to the Colombian in the lunge to the line. Andre Greipel (Lotto-Soudal) was third after sprinting from a long way back in the field. 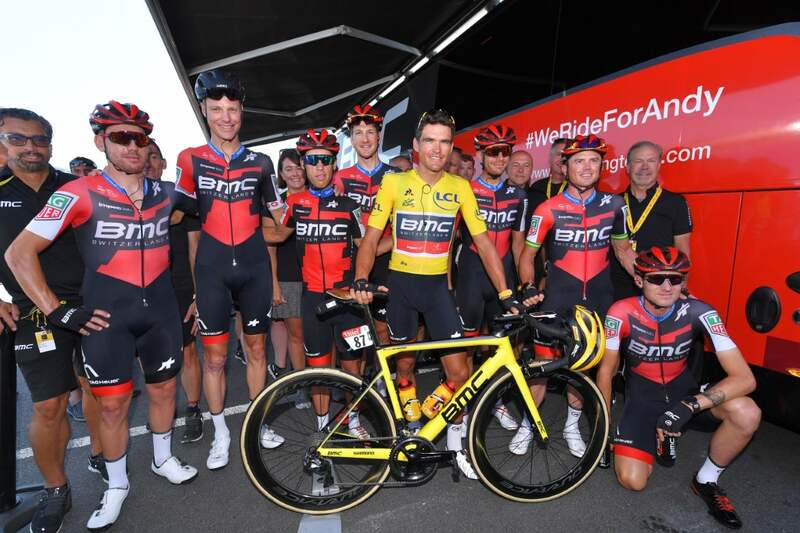 BMC’s Greg Van Avermaet (BMC Racing) kept his overall lead after the 195km race. 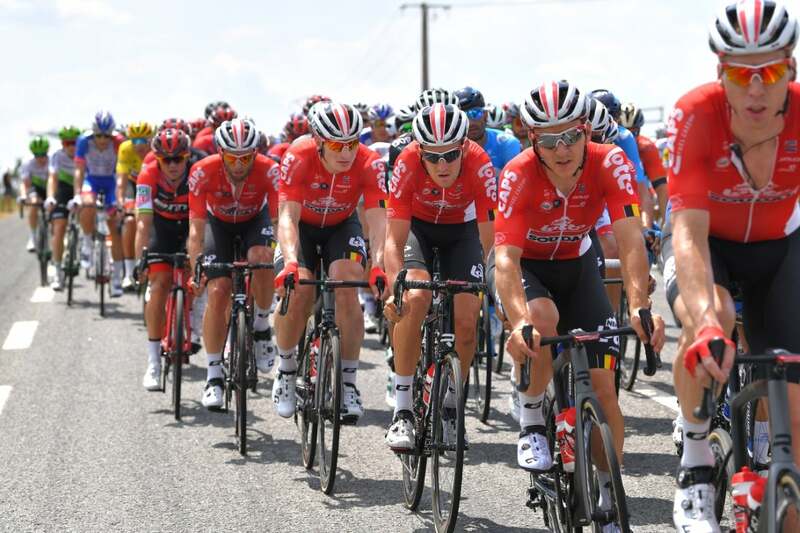 The early breakaway of Jerome Cousin (Direct Energie), Anthony Perez and Dimitri Claeys (Cofidis), and Guillaume van Keirsbulck (Wanty-Groupe Gobert) kept things interesting, clinging to a one-minute advantage into the final 10 kilometers. With five kilometers to go, a significant crash toward the front of the bunch brought down a few GC hopefuls. 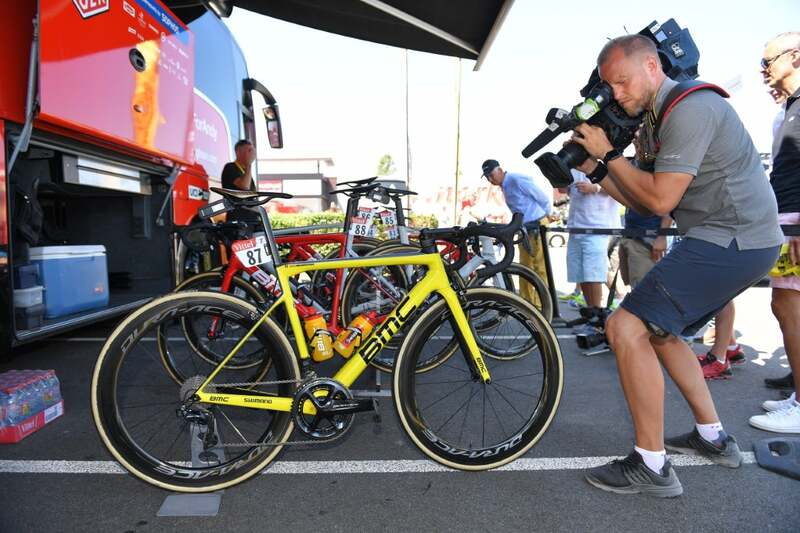 Rigoberto Uran was held up by the tangle but with help from his EF Education First-Drapac teammates Simon Clark, Tom Scully, and Sep Vanmarcke, he rejoined the bunch. 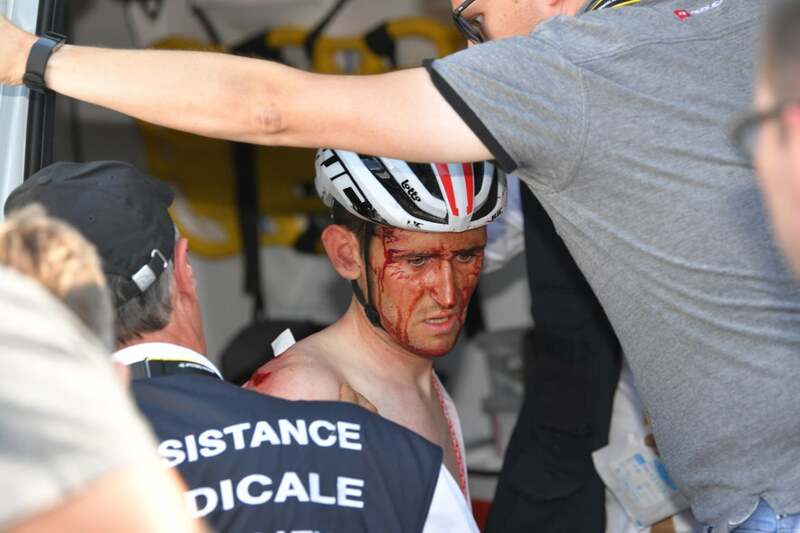 Katusha-Alpecin’s Ilnur Zakarin was not so fortunate, losing about a minute on the day. However, the sprint teams would not be denied. 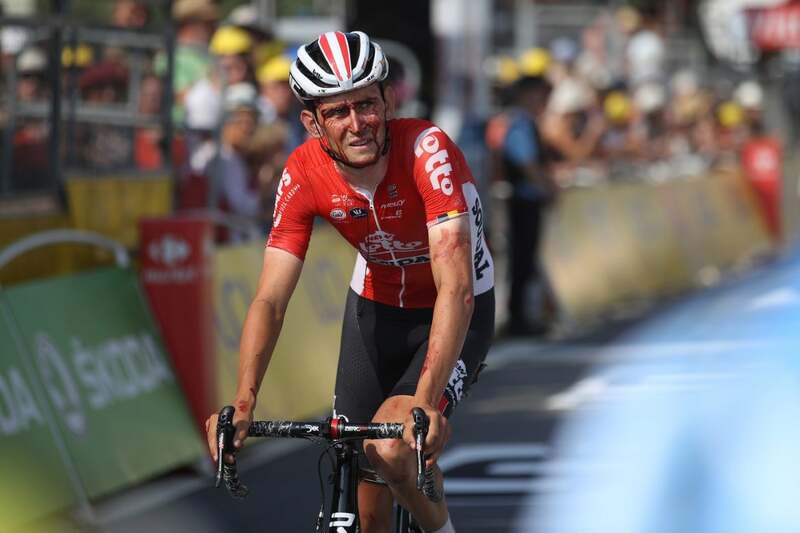 Van Keirsbulck made one last-ditch attack but was caught when the race reached the final kilometer. Dimension Data took command early in the wind-up to the finish. It proved to be too early. 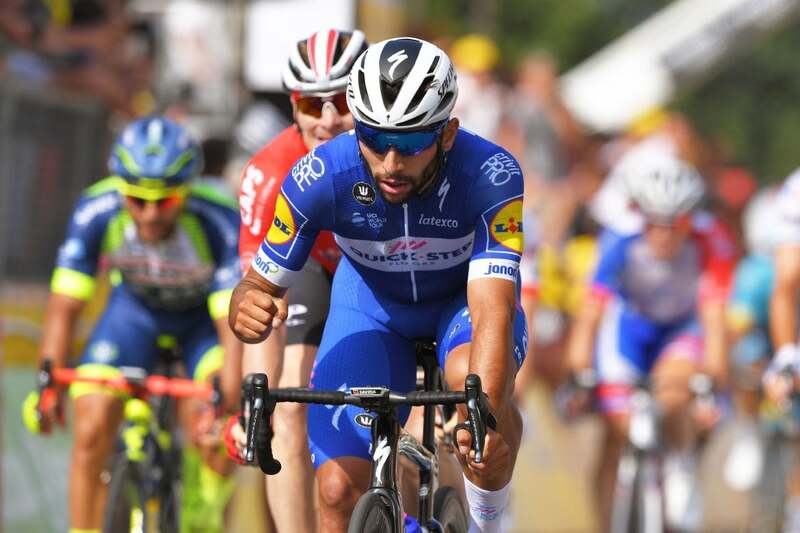 Following his reliable Argentinian lead-out man Max Richeze, Gaviria slipped up the peloton’s left side, against the barriers. But he had a passenger — Sagan, wearing the green jersey was right on his wheel. 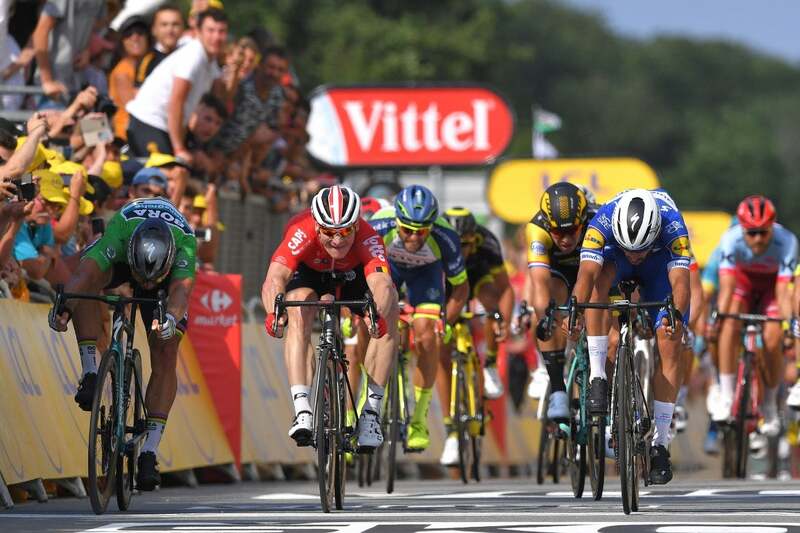 Greipel was just behind Sagan but was bumped off the three-time world champion’s wheel as the sprint swung right and then back to the left. Seeing that he was too far back, Greipel jumped early, just before 200 meters to go. Moments later, Gaviria opened up his sprint, and Sagan remained glued to the Colombian’s wheel. 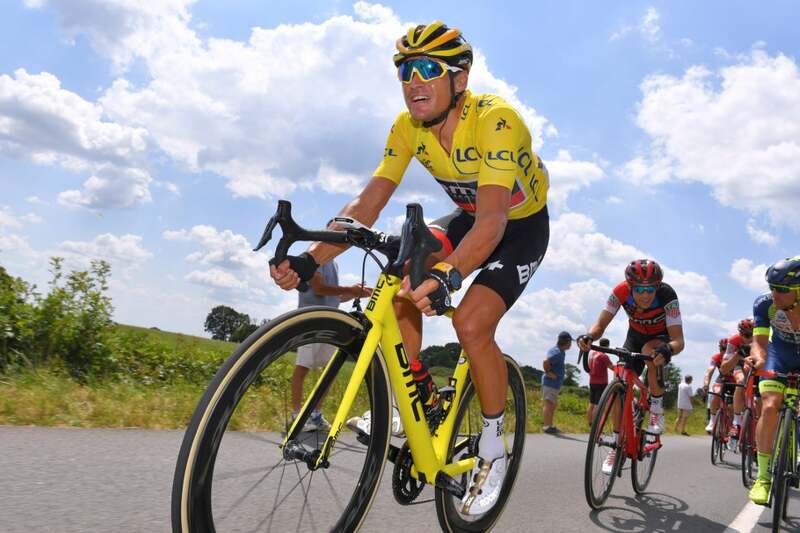 At first, the German’s momentum brought him past Gaviria on the right. But then he faded as Gaviria kicked it into top gear. Sagan scooted right behind and then around Greipel to surge up the right side. 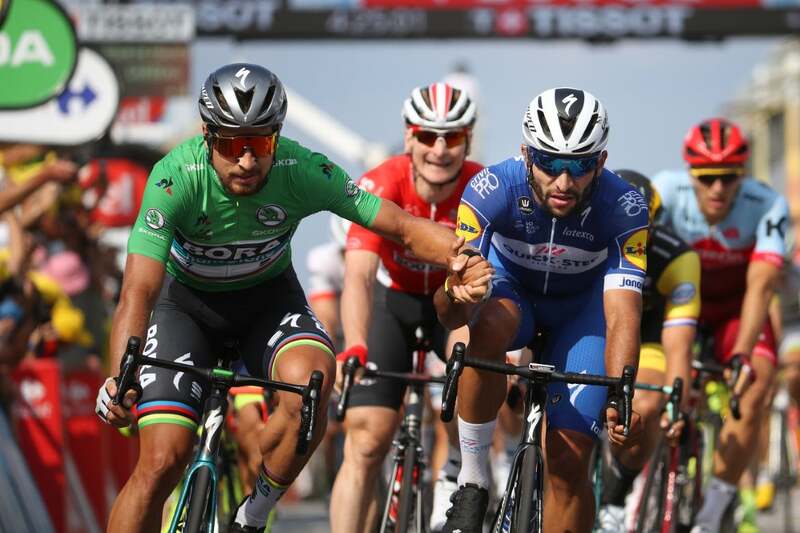 Although it was a close finish, Gaviria won his second stage handily by a wheel as Sagan took second place with a bike throw. Sagan kept his lead in the points classification. 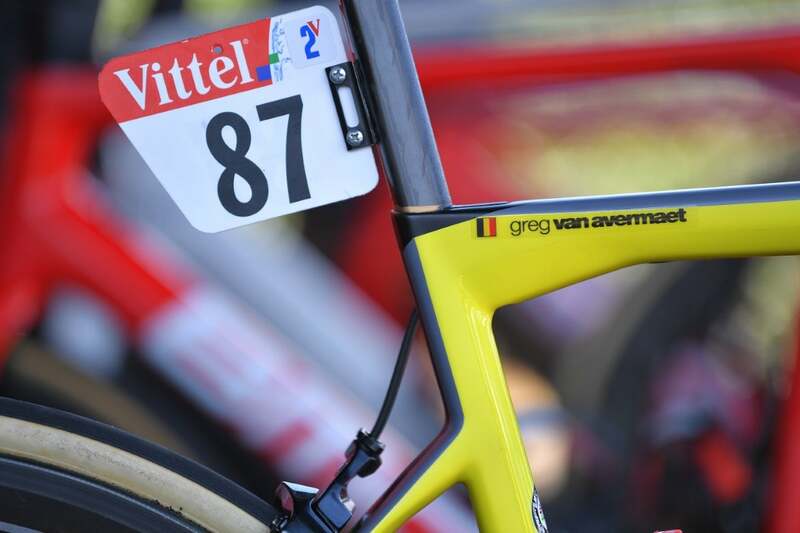 “I took Greipel’s wheel, so it could have been better,” Sagan said. “Second is better than third,” he added. 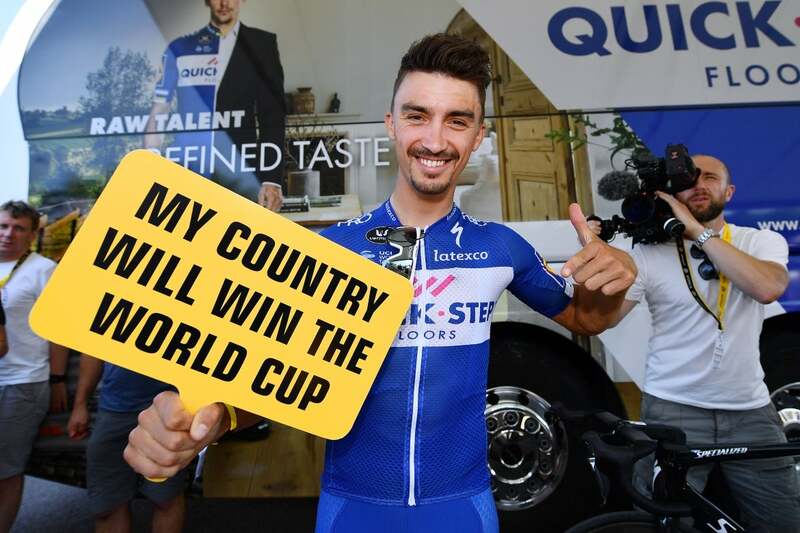 Asked what he needed to beat Gaviria, Sagan was again quick with a quip. 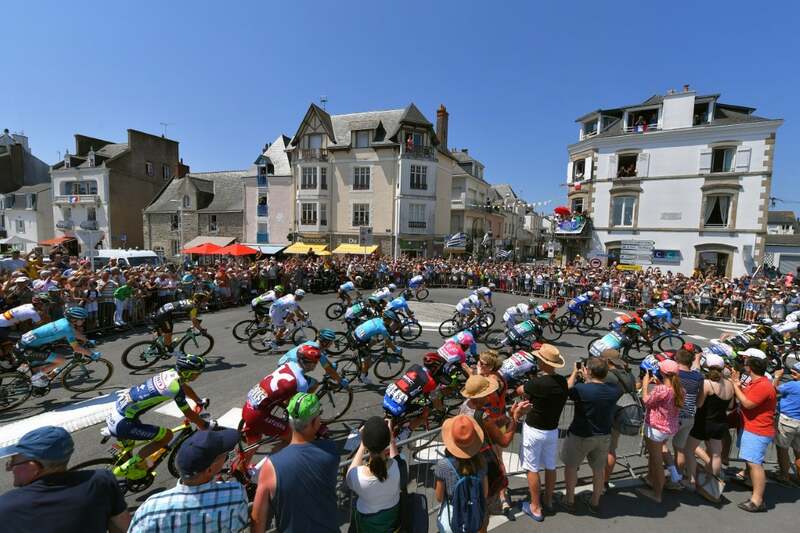 Wednesday’s stage 5 will be a long, hilly affair with five categorized climbs over the 204.5km route from Lorient to Quimper. However, it could still be a day for a rider like Sagan as none of the climbs are tougher than Cat. 3. 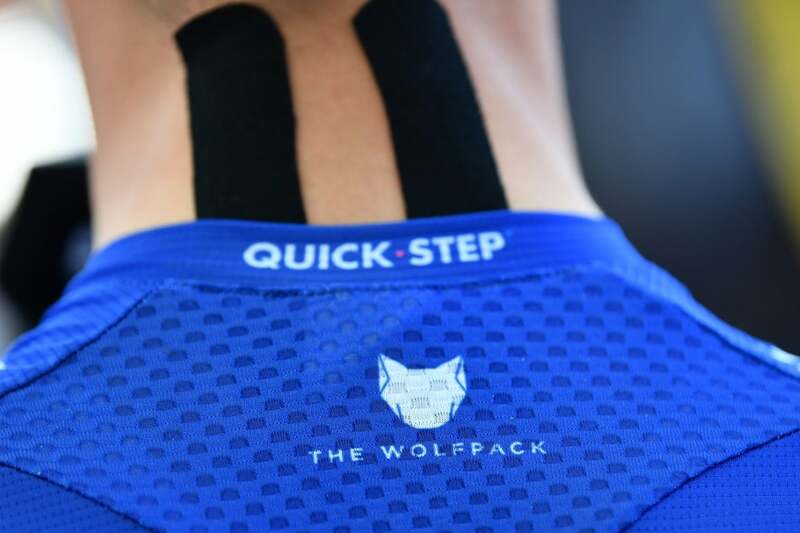 “It’s the first big stage of this kind and we are going to see time difference in the overall standings, it just depends who wants to go for it,” Van Avermaet added about stage 5.